Just to get the ball rolling, here is my image which won BPN Wildlife Image of the Year 2009. Another great image, and thanks for starting this one Sniktawk, it was on my to do list! So indeed, everyone, get posting your cheetah images. I'll see what I can find, something from Lebala, probably. That prize winning shot is outstanding! Pangolin, the mom shot is amazing. What a wonderful pose. It was nice of them to see you off. First of all, Awesome on the BPN Awards!!! Fantastic news!!!!! Second of all, Ditto - I hate snakes too after that!!! Sniktawk... I saw that over at BPN - it's fabulous. Sundowner's first is also a bit special for me. The other and current 'three brothers' in early December last year. And a pregnant female 50km outside the Mara reserve near Aitong a day earlier. 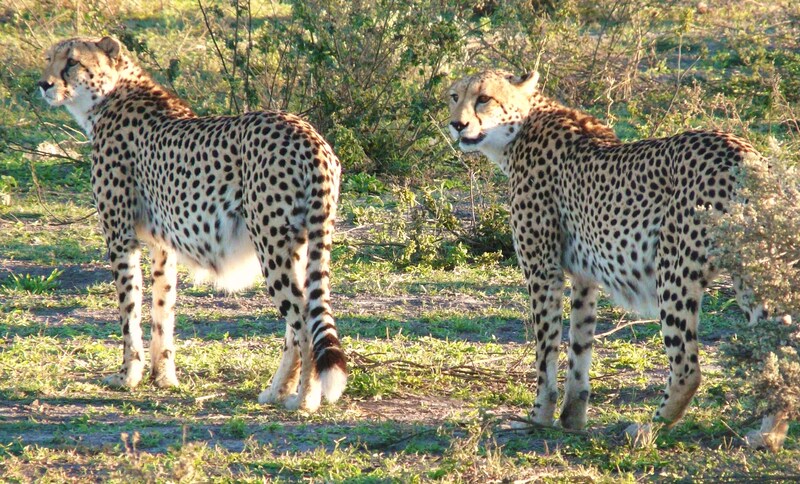 The Three Brothers were a Cheetah coalition that inhabited the Kwando/Selinda area and the nearby WS areas. They were the subject of an absolutely appaling film called Blood Brothers which was a totally made up load of nonsense! We had many fine days following them about absolutely priceless! Your cub at Mala Mala is really nice and dare I say it cute! You seen the "Blood Brothers" documentary? The cheetah coalition he refers to is the same ...... Yet, the documentary is awful and in poor taste - not to forget, completely fabricated garbage made for Tv stuff. Anyway, a long story short - they held territory for many many years - perhaps 12 years minimum? from about Kwando Lagoon in the North, all the way to Duma Tau and Savute in the South. Usually, Selinda/Lebala being the heart of their territory. Although, Duma Tau and Lagoon were their most preferred during their latter years. Our posts crossed, thanks for your comments, I am glad that we agree regarding the sundowner shot. Yours are well worth seeing, thanks for posting. We must keep this up Hari is waiting for more! Nothing from my side...Cheetahs have managed to evade me, none seen in 6 months Moremi (90% walking, only saw cheetah tracks once...but did see wild dogs twice!). none on a few days Kalahari, in fact we had continuous rain for 2 days and the only living animals seen were bull frogs. None in several weeks Namibia. And none in the Luangwa Valley either, but the last reliable sighting there is from 2001 if I remember it correctly. So needless to say, they're HIGH on my wishlist. Whilst not necessarily the best image I have ever taken, this probably means the most to me, this is the last sighting of the first of the 3 brothers to die, so sad! A privilege to see them in their prime and at their unfortunate departing, I hate snakes!!!! Did this Cheetah die as a result of a snakebite? Agree with Ken - Great thread, finally! First of the 3 brothers died of snake bite in 2006 after about 10 plus years ruling the territory. 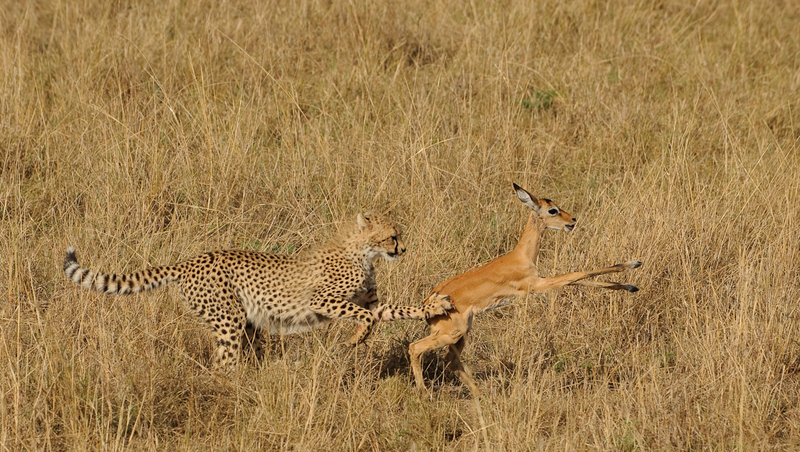 Second died in a fight with a new cheetah in the area in 2008. Third one is still around as of June/July 2009 the last known sighting - although he's lost the territory to two different coalitions. From Sabi Sands in September 2001. These are the 2 brothers we saw June 09 in Lebala. Fat and well fed, despite having lost some of their meal to a Hyena. The most dynamic coalition at the moment is the Tsum Tsum Boys at Kwara. Madabout - beautiful photos on your link. Thanks for sharing. see them. I saw the two at Lebala in October 08, and hope to see them again when I'm next at Lebala in October. Thanks for checking it out! Appreciate your kind words!!!! Kenya staying at Rekero, December 2008. Kenya back at Rekero October 2009. Spent about an hour watching this cub being trained to hunt by it's patient mother. Cheetahs with snacks... two of Shakira's cubs. The second pic is a peach! Nick... Rare "black' cheetahs in the first shot, I see? Nick - how many of Shakira's cubs survived? We watched her on Big cat diaries and I think at the end of the show there were only 3 left. 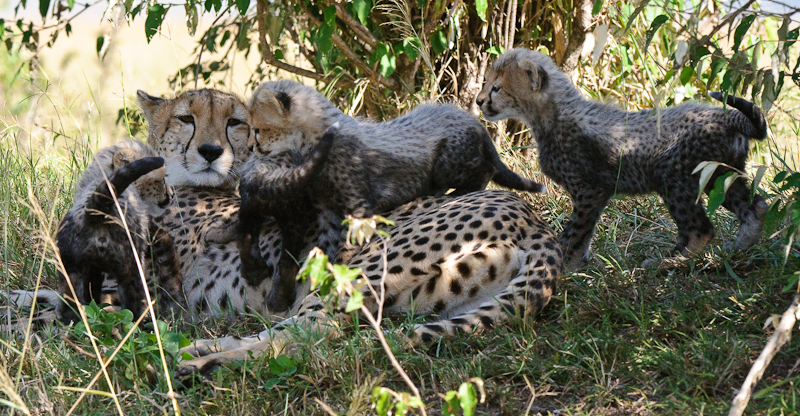 Actually we were in the Mara when she had them, but as the cubs we still so small we weren't allowed near them (plus the guides didn't want to attract the attention of teh Marsh Pride). Also, how many of Honey's boy are still around. 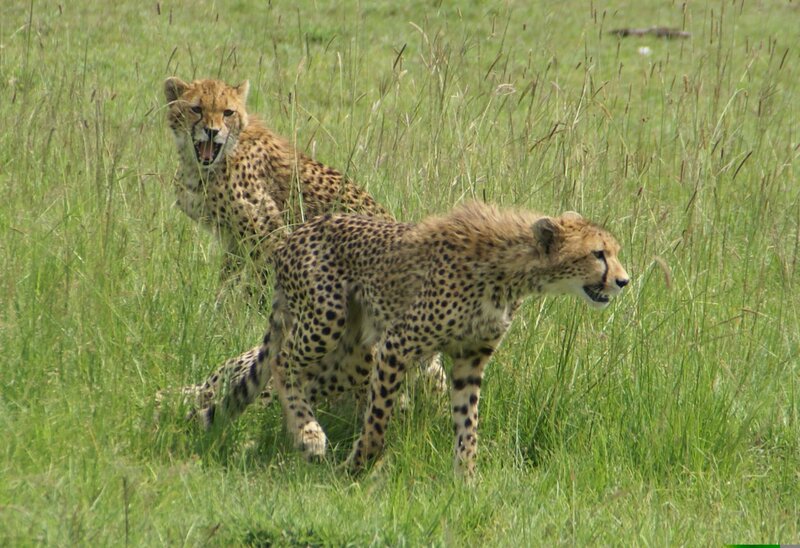 When we were in the Mara in Sept 08 the 3 were still a unit. Very impressive chaps. Although after making a Topi kill one day they got mugged about 5 mins later by 20 Hyena. The one brother did attack the Hyena but he was outnumbered and legged it in the end.